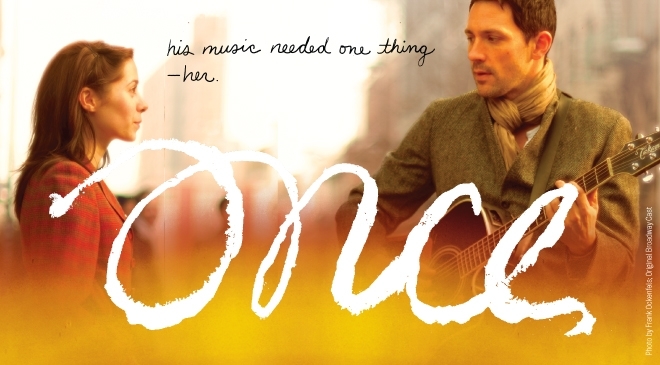 Winner of 8 2012 Tony Awards® including BEST MUSICAL, ONCE is a truly original Broadway experience. Featuring an impressive ensemble of actor/musicians who play their own instruments onstage, ONCE tells the enchanting tale of a Dublin street musician who’s about to give up on his dream when a beautiful young woman takes a sudden interest in his haunting love songs. As the chemistry between them grows, his music soars to powerful new heights… but their unlikely connection turns out to be deeper and more complex than your everyday romance. Emotionally captivating and theatrically breathtaking, ONCE draws you in from the very first note and never lets go. It’s an unforgettable story about going for your dreams and the power of music to connect us all.